Accepting payments from your clients should be a pain-free experience for them and that’s what we strive for. Customers can make payments via the App or the Portal and they can even leave a tip for a job well done! If a customer has a card on file and has given you authorization, you can process payment for them too! Getting paid should be easy and in order to get paid - it has to be easy for clients to make their payments. That’s why we support payments on both the Client App and on the Client Portal. 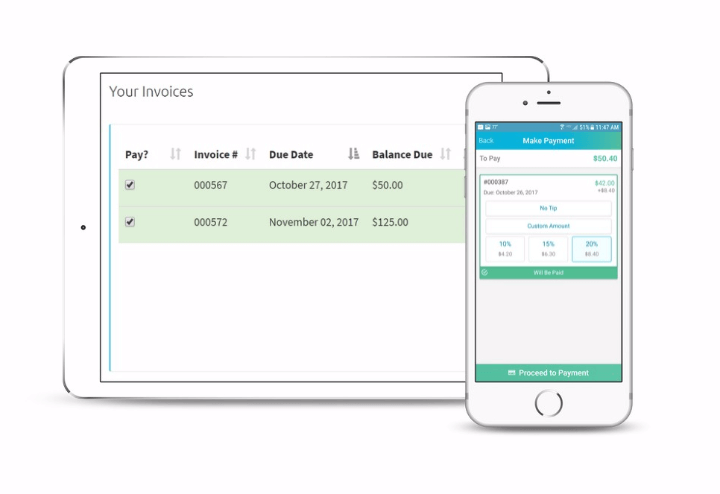 Clients can select their open invoice and make a secure payment using a stored payment method or by adding a new payment method. Your customers love the friendly, professional and compassionate service you and your team provide. They love it so much that they may even want to leave a tip with their payment! Time To Pet makes it easy to receive and disburse tips to your team. Clients can select a percentage or add a dollar amount when making their payment. 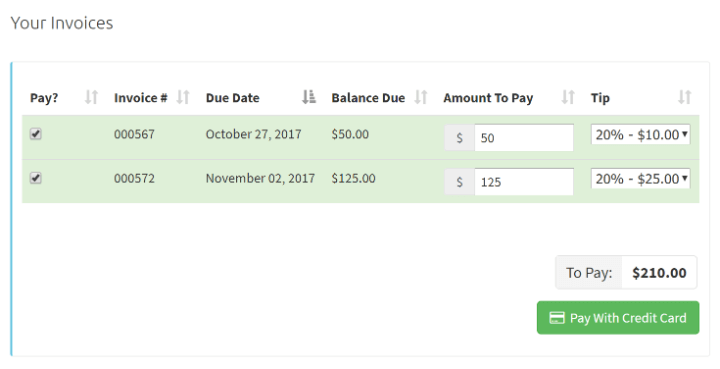 Time To Pet supports two unique payment methods in our system. You can allow clients to make payments via standard credit/debit card or you can allow them to submit payments via ACH (or e-check). 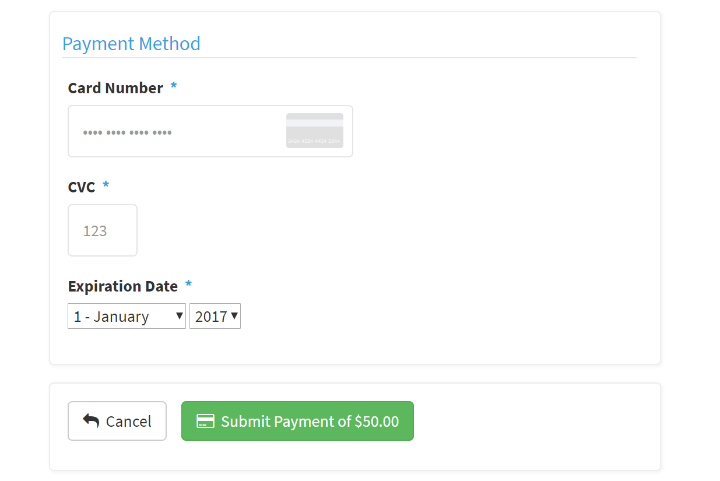 You can also set a default payment method for your company!